Recently, the BAKS team went to visit the Blue Zone Surf Retreat in Nosara, Costa Rica (local town is Playa Guiones). Warm waters, super nice people and great wave conditions makes it a top of the list place to visit if you are into surfing. 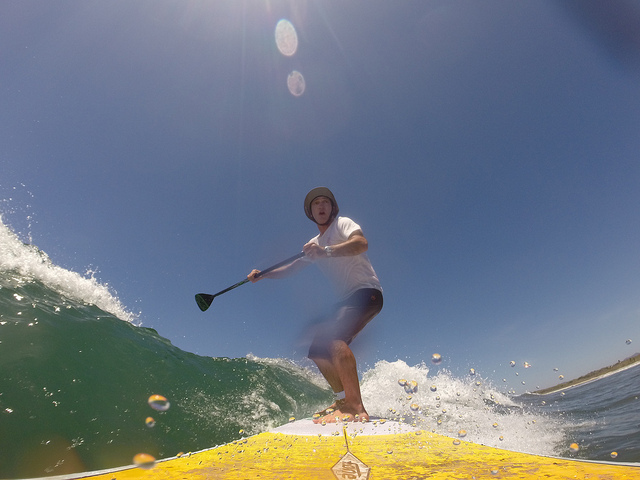 Blue Zone Surf is focused on SUP Surfing and has been hosting small group for years. They are also adding Foiling (of course!) to their program. Chase Kosterlitz, a well known and respected figure in the SUP racing world, has been running the show for Blue Zone Surf for a couple years now. He recently became a F-One Ambassador and so it was really a no brainer for us to pay him a visit, ask him a few questions and bring some gear down as well. We had a fantastic time and we highly recommend the camp to anyone ! 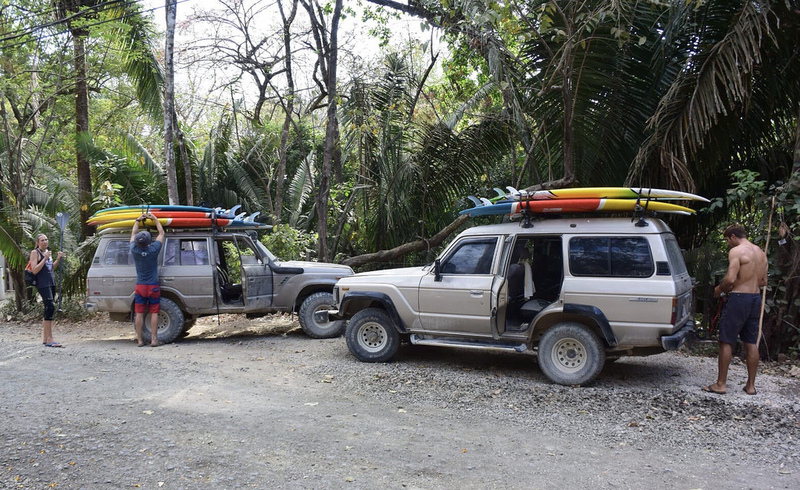 You have been racing (literally) the world for many years before settling down in Nosara, Costa Rica. What brought you down there? 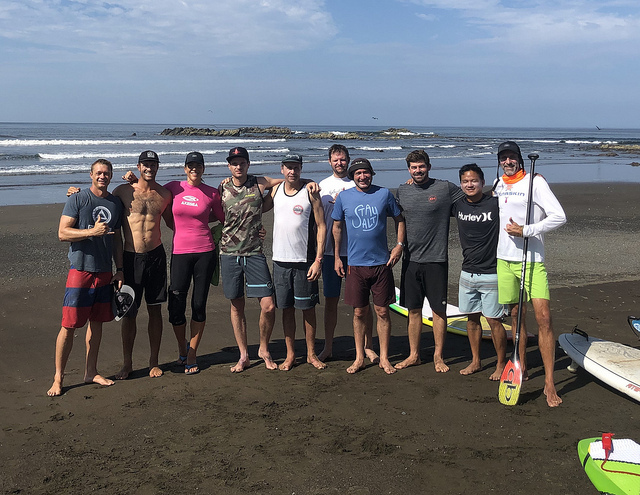 I met the founder of Blue Zone SUP, Erik Antonson, at a former sponsor’s sales meeting in the summer of 2017. Erik was talking about Nosara and how much he loved the place that he had lived for 10 years. Circumstances made him and his family must move back to the states, but he wanted to keep Blue Zone SUP going. I was looking to get out of sup racing and focus more on surfing and earning a living for my family. The timing was perfect for both of us and I was brought in as a partner to get Blue Zone going again. Blue Zone SUP is a dedicated SUP surf camp, something you can’t find in a lot of places, what is your philosophy behind coaching SUP Surfing? I try to coach each individual according to their goals, experience and paddling/surfing backgrounds. Many people think that improving their surfing is all about what you’re doing on the wave. This is true to an extent. However, I’ve found that huge improvements can be made in a client’s surfing by working on their paddling technique and approach to catching a wave. You can’t practice surfing waves if you’re not catching them in the right place or catching them at all! What is the best season to go down to Nosara and what are the typical conditions? Our season runs from November through August with the peak of the rainy season closing us down for September and October. The surf is always good here! I have been continually blown away by how consistently good the waves are here. December through February are the best months for beginner/intermediate surfers as waves tend to be in the waist to chest high range. The other months can be great too but often bring larger surf in the head high + range. People often get wrapped up in the importance of waves size, but I’ve had some of my most fun days in glassy 2 – 4 ft. conditions here. 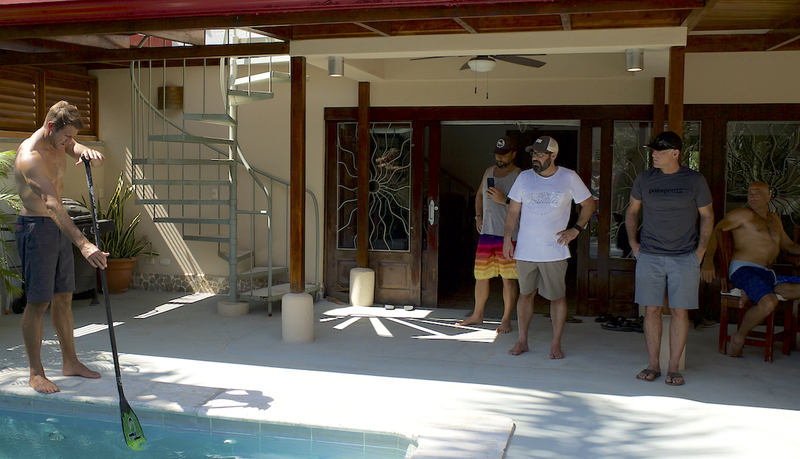 How many guests can you accommodate and what is the way to make it down to Nosara? We like to keep our camps small to best serve our customers and to limit the crowd factor within our camps. A typical camp is between 5 – 7 surfers. Fly into the Liberia, Costa Rica airport and we will pick you up and take care of the rest! 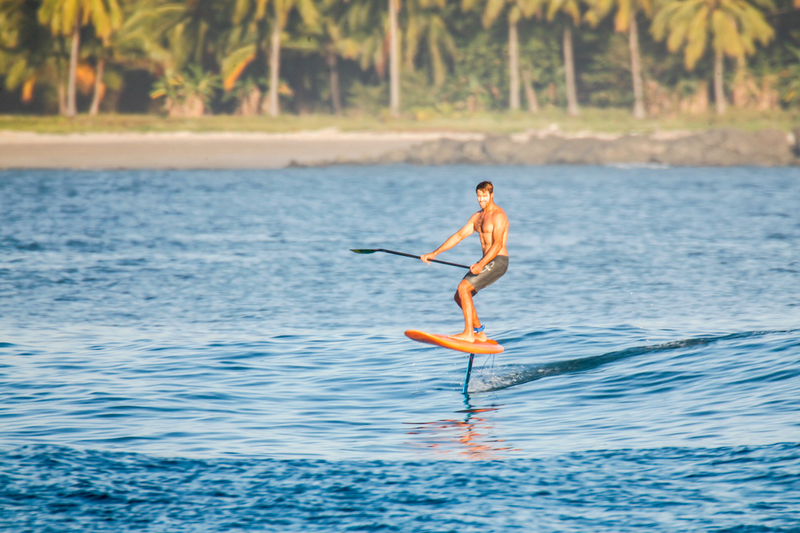 You have recently discovered SUP foiling and the Nosara area offers fantastic spots, will you offer dedicated foiling camp? Yes! I’ve really been into foiling lately with over 50 sessions under my belt in just the last 3 months. Stay tuned for dedicated foil surf camps coming in the 2019 – 2020 season. We have some amazing foiling spots with no crowds and easy, fun waves for new or advanced foilers. Also, recently you have become a F-One Ambassador, tell us what made you decide to join the team? I’ve known about the quality and performance from F-One since 2008 when I became a kite surfer. F-One always sparked my interest with top quality gear and cutting-edge performance. Now that I’m getting into foiling I want to be on the best stuff I can ride. F-One was an easy choice when deciding which equipment would help me have the most fun on the water. In the end that’s what it’s all about!